Chrissie’s performance career started in Sydney in the 1960s. 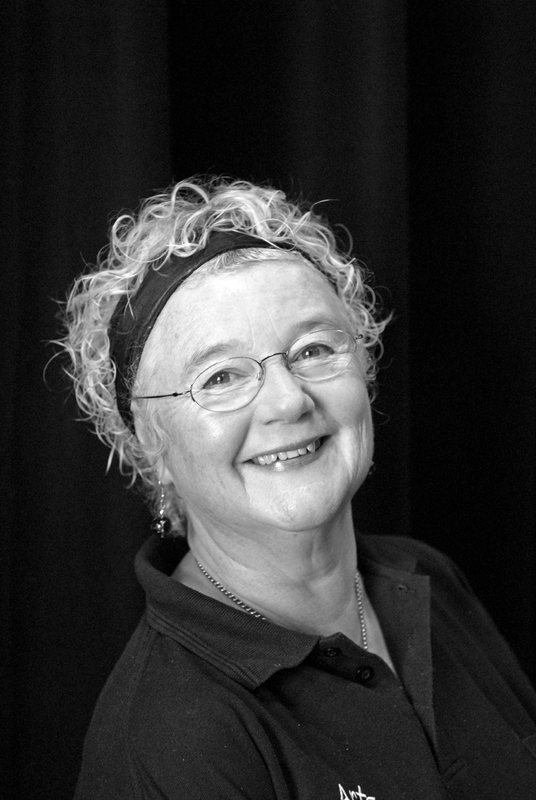 She toured Australia with children’s theatre company Pipi Storm, as co-creator, devisor and performer from 1979 to 1982. She toured in independent shows, THE DRESSES and THE NOT TOO LATE SHOW 1983 and 1986/7, visiting Canberra, where she now lives. In Canberra, Chrissie has worked for many companies including TAU Theatre, Canberra Theatre Company, Women On A Shoestring, The Street Theatre, and Jigsaw Theatre Company. She created, produced, performed in independent shows ABOUT FACE, FOOTPRINTS ON THE WIND, A SWEETER FERN – THAT’S RED!, DRUMMING ON WATER (Geoff Page) winning a Greenroom Award, THE KEEPER, touring after Canberra seasons, and in 2013, BIJOU-A CABARET OF SECRETS AND SEDUCTION. FLOTSAM AND JETSAM (Greg Lissaman), toured Canberra schools, NSW, Sydney, South Australia (ComeOut 2007) and Victoria. GRAN’S BAG (Greg Lissaman/Chrissie Shaw) premiered in QLD, tours schools, theatres in Canberra, Sydney, Victoria, regional NSW. For The Street Theatre, Chrissie appeared in LAWRIE AND SHIRLEY 2011, winning a 2012 Critics Circle Award for her performance; for Jigsaw, PEARL VERSES THE WORLD and for Greg Lissaman, ROLLING HOME in 2012. In 2013: GRAN’S BAG seasons, and her latest independent show, BIJOU A CABARET OF SECRETS AND SEDUCTION premiered in Canberra in August 2013 and has been seen in Sydney and regional NSW. Chrissie has been a musical director of several local community choirs, and is a founding member of A BUNCH OF POSERS, a Corporate and Events entertainment troupe. AWARDS: 1997 ACT MEAA Award, 2013 ACT MEAA Award Performer of the Year for BIJOU, 2012 Canberra Critics Circle Award for performance in LAWRIE AND SHIRLEY by Geoff Page, 2013 Canberra Critics Circle Award for writing and performing in BIJOU. Chrissie is a proud member of Actors Equity.